[NEWS] Kim Jaejoong, Pink Hoodie + Sunglasses, Gorgeous! Kim Jaejoong, Pink Hoodie + Sunglasses, Gorgeous/Brightening! Group JYJ Member Kim Jaejoong’s Spring-Welcome self-photo was revealed. 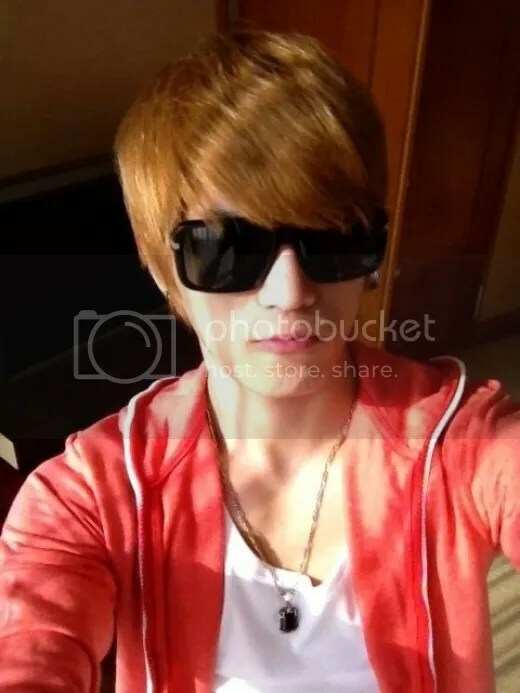 Kim Jaejoong in the picture layered the gifted hoodie over a white shirt and completed his fashion with a black rectangular sunglasses and necklaces. In particular, his firmly pressed lips even radiated cuteness. It will reach the news soon for sure, @glowga. Many of JJ’s followers have done it, including me. That’s something to notice. It doesn’t matter how he looks of what he’s wearing (or not wearing). ¡JAEJOONG ALWAYS LOOKS GORGEOUS! Actually, I feel very happy and relieved because of JJ’s tweeting: “I’M COMPOSING MY HEART”. Sambae looks good no matter what, but I wonder if he is taking care of himself, he seems a little tired and he has lost weight, sambae do take care, you always taking care of others so pls do the same for yourself,saranghamnida! everything looks good on Jae.